Home > Aqours > LoveLive > Aqours - Hop・Step・Waai! Hop・Step・Waai! (ホップ・ステップ・ワーイ！) is the theme song for Aqours' Hop! Step! Jump! Project. 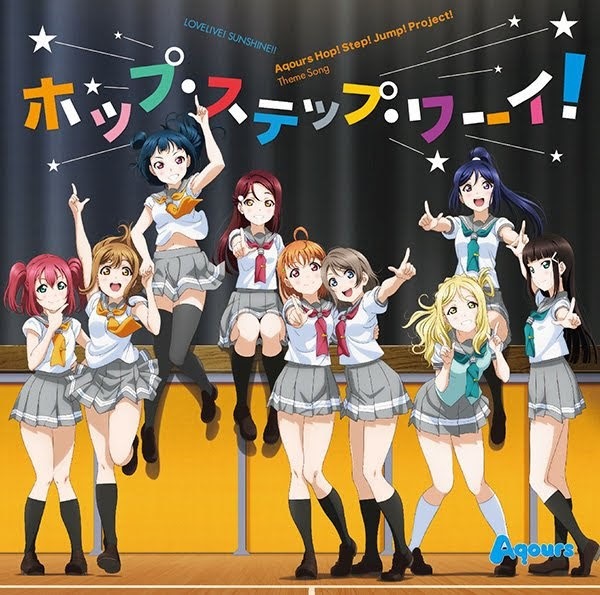 It was released on June 30, 2018 in a special Aqours CLUB CD SET containing a CD with 4 versions of the song. including original, off vocal and unit mixes of Aqours sub units, a serial code for the Aqours CLUB, Aqours CLUB Official Goods (Pin badge, passport, 24-page mini photo book), and a specially illustrated CD jacket.